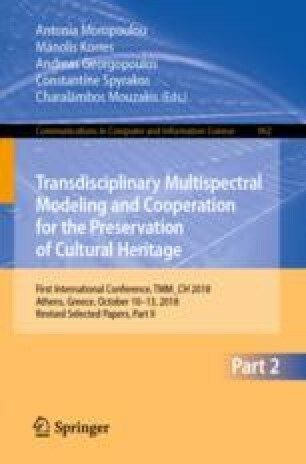 The aim of the present paper is to assess the effectiveness of different protocols for hyperspectral and multispectral imaging in cultural heritage studies. In particular, spectral cubes or monochromatic images in the visible and near infrared spectrum are captured, using either reflected or transmitted light, in normal or tangent illumination conditions for micro and macro scale characteristics evaluation. Various parameters that influence the choice of the appropriate experimental setup are discussed, such as the type of the surface and substrate, the optical characteristics of the surface and the paint layers structure of the artwork. In addition, the morphology and the non-controlled environmental conditions are examined, especially when studying outdoor surfaces. Characteristic case studies are presented ranging from small archaeological objects and paintings to large indoor and outdoor wall surfaces with an emphasis on sketch and drawing detection as well as on color decoration and pigment identification. Through these case studies the authors want to show that spectral imaging techniques can offer much more possibilities than the common user can imagine provided that the application of the methods take into account the specific characteristics of the material and exploits its optical properties. Furthermore the basic criterion of the methodology presented is the optimization of primary results without post-processing of data, based on different setups and detection protocols with the constraints and specific requirements that different structures and specific conditions dictate. Warm thanks are due to conservator Agni-Vasileia Terlixi, to conservation scientist Dr. Eleni Kouloumpi, to curator Zina Kaloudi and conservator Christina Karadima for their cooperation on the study of Return to the village (EPMAS, No. P2640), as well as to Lecturer Dr. Alexios-Nikolaos Stefanis and Maria Chatzidaki for their contribution to Gianoulis Halepas House - Museum wall sketches’ study (ARTICON Lab).